A new series of short stories where Russell Holmes, a private investigator, unravels the deceptions of crime in Glasgow during the 1890’s. Now available on Kindle and as a Paperback from 22 July 2015. 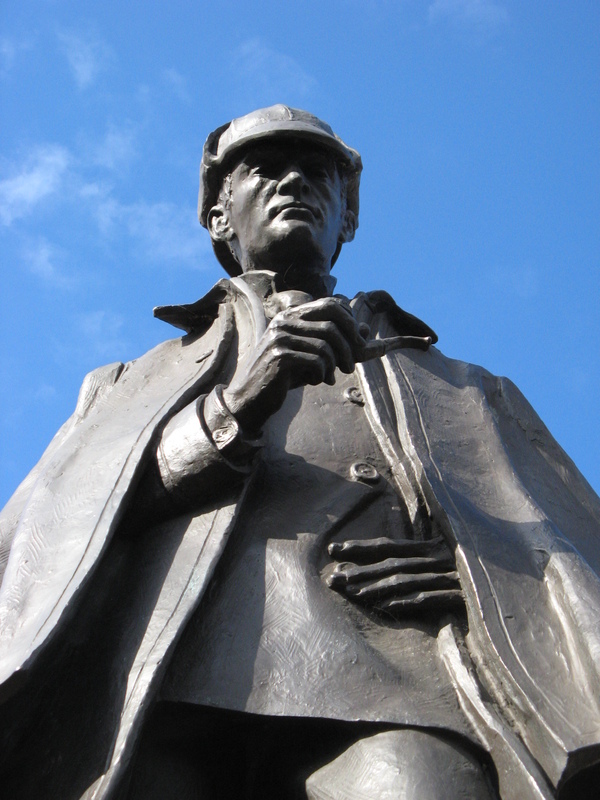 My thanks must go to Sir Arthur Conan Doyle and his character Sherlock Holmes for the many inspirational moments I called on when writing this collection. The stories deal with various Victorian attitudes and how crimes were solved. For instance poisons were once used as the ideal weapon for murder, arsenic in particular, and although their use was suspected it was very difficult to prove a crime had been perpetrated. That was until the Marsh Test showed how the presence of arsenic could be detected in the deceased. However, other forms of poisons were used instead, which were also difficult to detect in the human body until the scientists found a method. Similarly fingerprints and the identification of handwriting and documentation forgery, as well as understanding the use of entomology when inspecting the body of a murdered victim, were not utilized with the precision as they are today in modern forensic investigations. The private investigator in the 19c only had his wits and his limited knowledge of science to fall back on, when attempting to solve the crime. But even so,the 19c judicial system was difficult to convince with new ideas of evidence , and a jury may be more swayed by the personality and oratory skill of the prosecutor rather than the good character of the defendant. These stories are an easy read, fast paced at times, but entertaining with a momentary glance into the Victorian Period.